As the Ebola epidemic escalates in West Africa there is an urgent need to disseminate accurate information. An opportunity to interview an expert in the Washington area suddenly arose and Alt Gobo was able to quickly respond with Peter Roof doing camera and lighting. The material was quickly turned and a public service announcement was distributed. Ebola is a virus that kills most of its victims within a month of contracting the disease. The western Africa nations of Sierra Leone, Guinea, and Liberia have been seriously hit with this outbreak. At the time this PSA was recorded more than a thousand people have died with the death toll doubling every month. 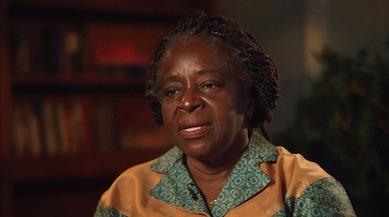 The interview recorded was with Dr. Roseda Marshall, a Liberian pediatric doctor. She explained what is known about the disease and precautions for citizens and health workers. The program was made in English in hopes of reaching a broad audience of people living outside the affected countries but in contact with their relatives in danger.